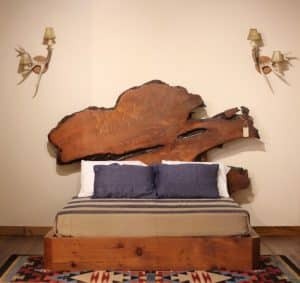 This is a standard king size platform bed. Please read full description below.Our standard shipping is included. 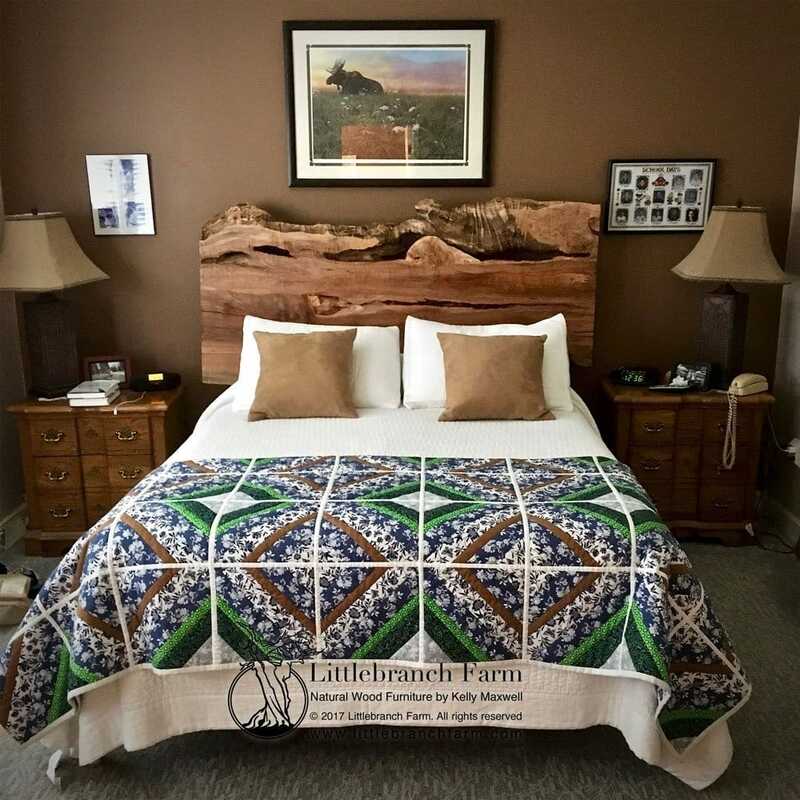 This bed is sold! 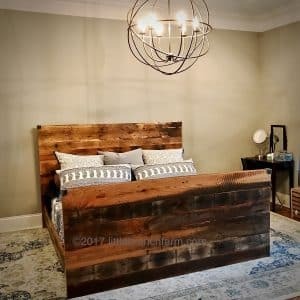 Please call or email for custom bed options. 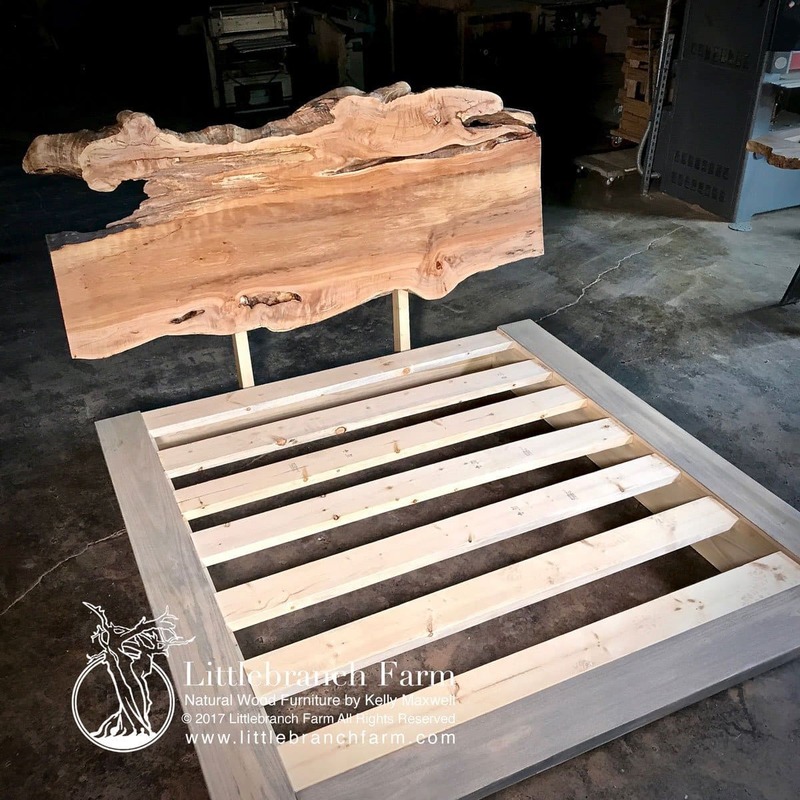 This live edge wood platform bed has a low profile wood plank bed frame with a live edge maple wood slab headboard. While the platform base is finished with a gray wash stain that is low to the ground. 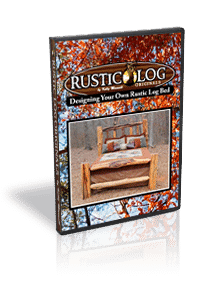 Such as our other custom furniture each rustic bed is a one of a kind. 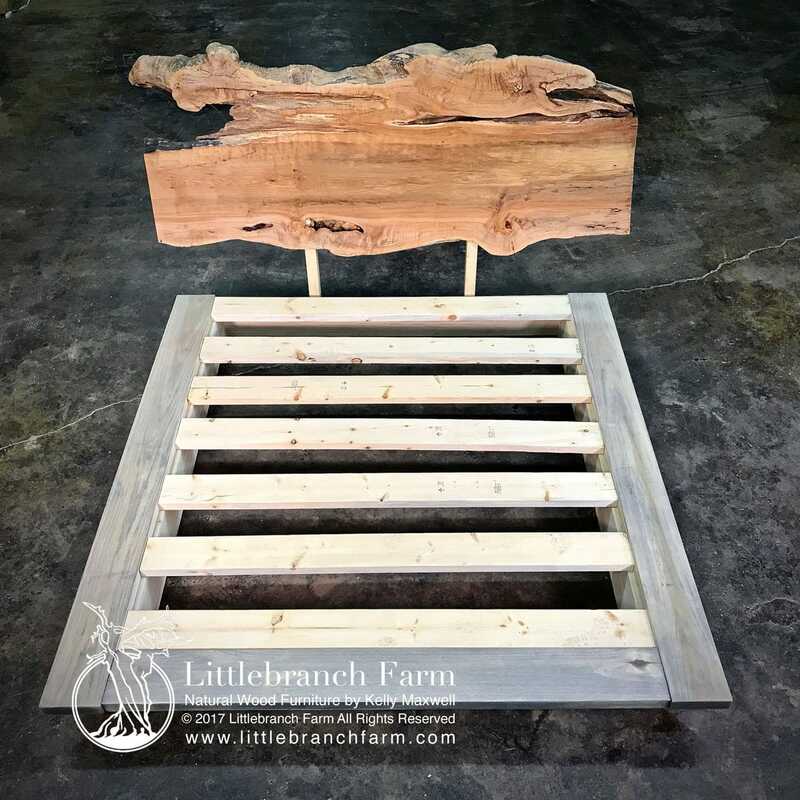 Like our natural wood furniture, this style rustic modern wood platform bed is available in different wood species. 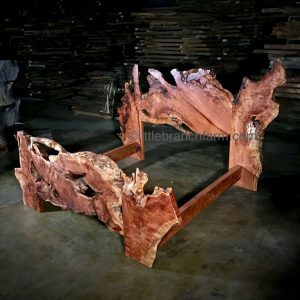 While natural wood and burl wood slabs such as old growth redwood, Claro Walnut, and Buckeye Burl. It is also customizable and available in California king to a queen.